I heard about Tend Skin from the lovely Anna from ViviannaDoesMakeUp. 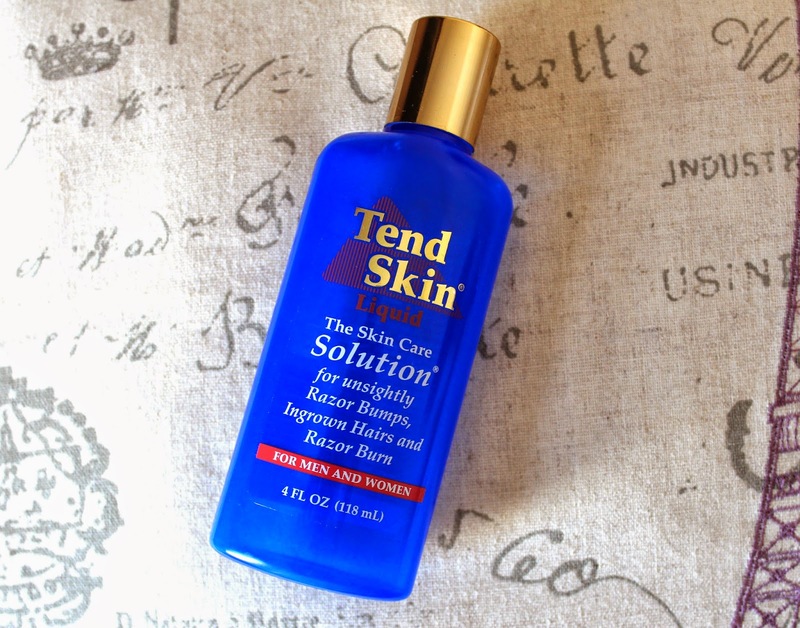 Tend Skin is a liquid solution which claims to reduce the appearance of razor bumps, ingrown hairs and redness caused by hair removal. I’ve tried similar formulas from Boots with little success but I’m open to trying anything to get rid of my stubborn ingrown hairs so quickly placed an order. Let’s start with the negatives – the solution itself really doesn’t smell great, like a mixture of strong nail polish remover and something you’d find festering in a pot in your Dad’s shed. However, the effects were surprisingly impressive. I applied a little to a cotton pad and dabbed on the affected area every morning and evening and actually noticed a huge difference within a few days. My skin looked less red and irritated, the itch-factor was subdued and the hideous bumps had reduced significantly. I would recommend buying the smaller bottle before investing in the larger version as it’s not cheap and the smell may be too overbearing for some. I, on the other hand, have found yet another product which will be on my repurchase list for the near future. What do you use to soothe soreness from hair removal?